Circa 1938-40. 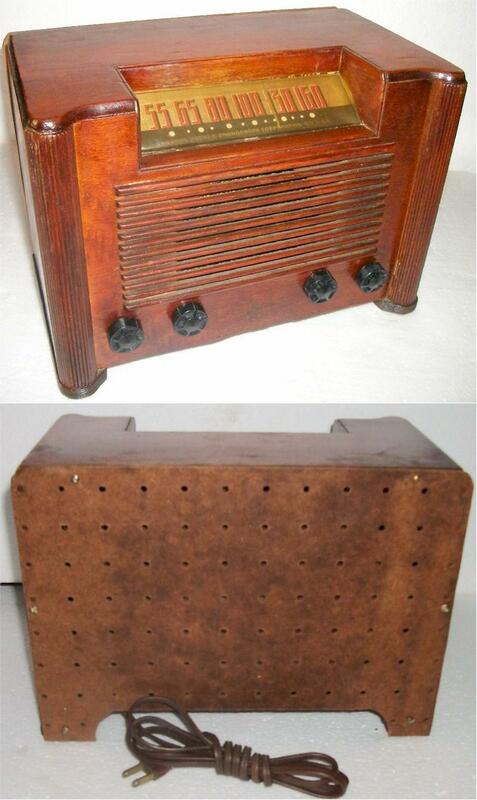 Nice looking wood table top radio with the original finish and knobs. 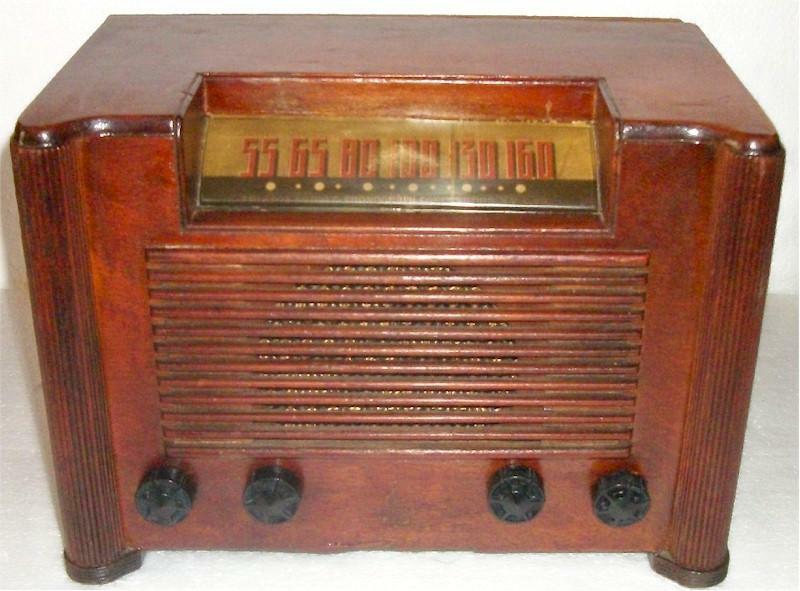 It has been electronically restored and works great. New power cord and a nice back has been made for it. You are visitor number 4,561 to this page.